· The tree-planting activities take place throughout the park from 8:30 to 10:30 a.m.
· Volunteer registration begins at 8 a.m., followed by a tree planting demonstration. 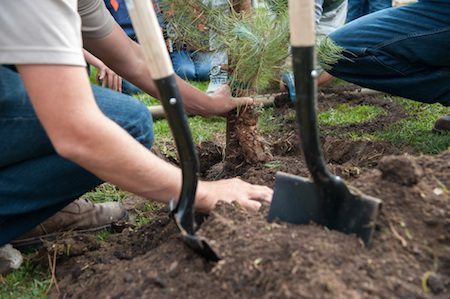 · The Arbor Day effort will help Carlsbad retain its status as a Tree City USA for the 13th consecutive year. · This designation is given by the National Arbor Day Foundation and acknowledges the city’s ongoing commitment to tree care and urban forest sustainability. · Tools will be provided for all volunteers. Volunteers should wear work gloves, a hat, sunscreen and closed toe shoes. It is requested that volunteers bring additional shovels, if possible. · Children age 16 and younger must be accompanied by a parent or guardian. · The Arbor Day celebration is part of the city’s Earth Month campaign, designed to encourage recycling and increase awareness of sustainable practices in Carlsbad. · The campaign was created to support California’s ambitious goal of 75 percent recycling, composting or source reduction of solid waste by 2020. · The Department of Resources Recycling and Recovery, known as CalRecycle, is leading the statewide efforts to decrease California’s reliance on landfills.